Presentation slide introducing the TIM Lesson Plan Review tool. 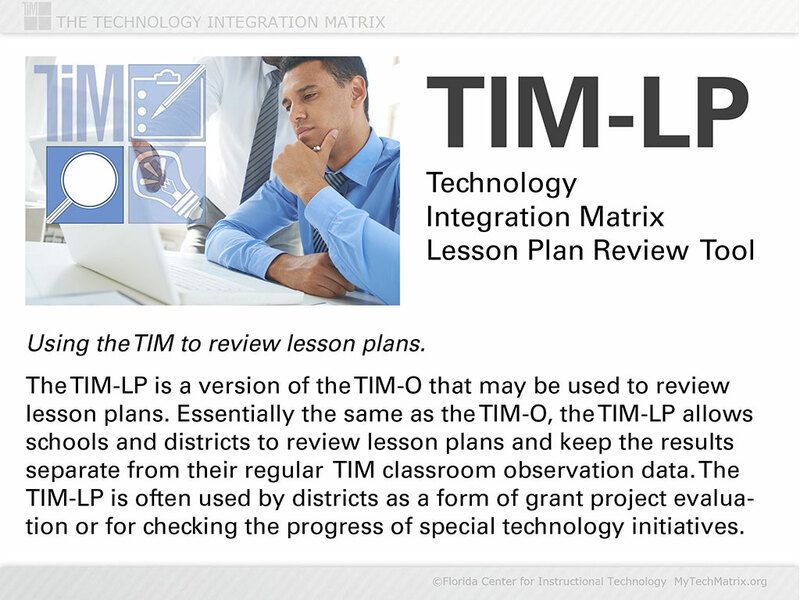 The TIM-LP tool provides a means for a school or district to review lesson plans for technology integration. The TIM Lesson Plan Review tool is a variation of the TIM Observation tool and is one component of the TIM Tools suite. The TIM-LP is a version of the TIM Observation tool that may be used to review lesson plans. 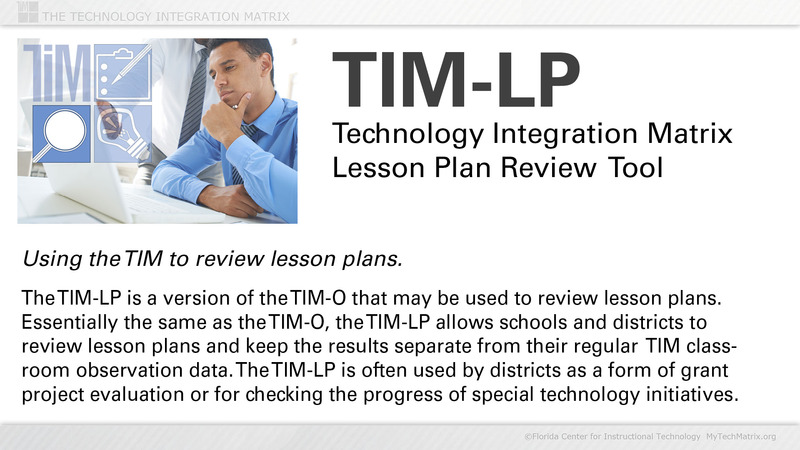 Essentially the same as the TIM-O, the TIM-LP allows schools and districts to review lesson plans and keep the results separate from their regular TIM classroom observation data. The TIM-LP is often used by districts as a form of grant project evaluation or for checking the progress of special technology initiatives.